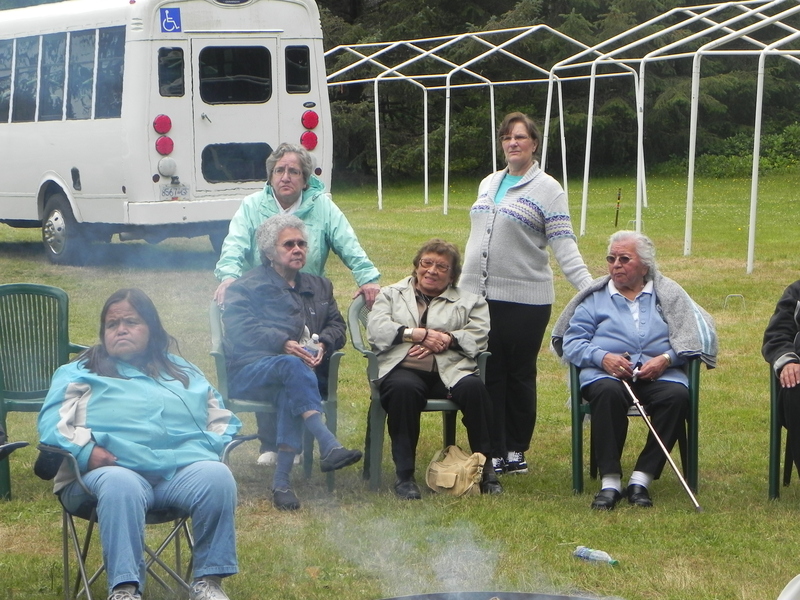 The All Island Seniors Picnic was held on Tuesday July 26, 2011 at the Tlell Fair Site. 85 seniors came bearing salads and desserts while the Port seniors group set up and organized our meal. 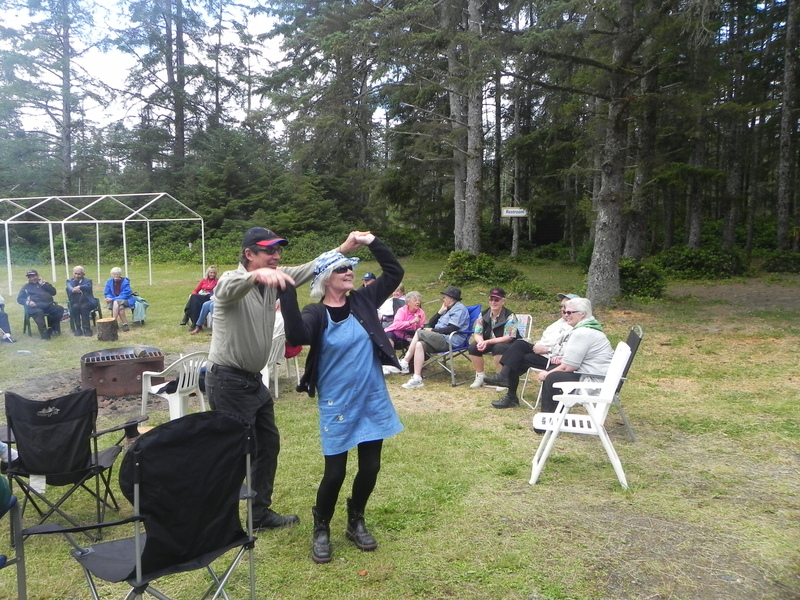 Sandspit organized the popular Loonie Auction and Charlotte set up entertainment; games and music. While the weather wasn’t perfect it was great for a fire and there were no bugs! 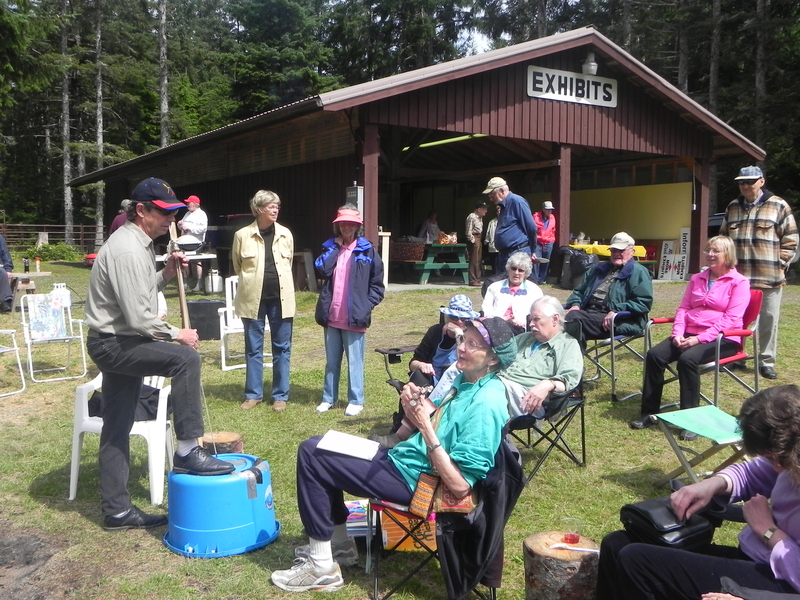 Next year if you are 55-ish, do come it’s fun. 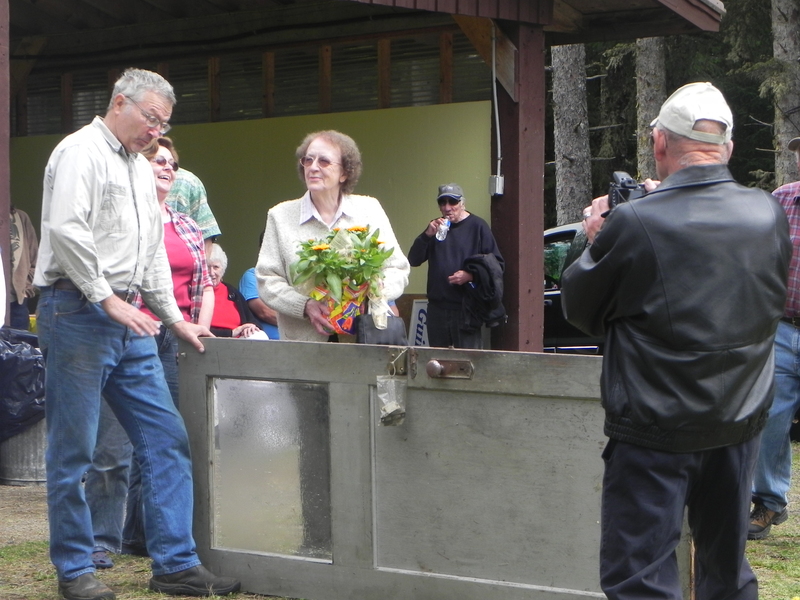 Something new this year was a “door prize” and Gwen Squires of QC was the good sport winner of the “door”, an old one from Ernie Chapman’s store in Port Clements [the really old Bayview Market].